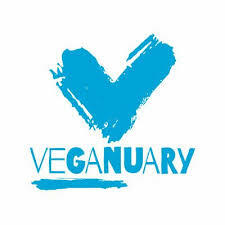 Veganuary will be over soon but, let’s not kid ourselves, things aren’t going to return to meat, spuds and two veg, seven days a week any time soon. I’m a bit of a jack of all trades but if I had one it would probably be butchery. Our butchers would almost certainly disagree, but that’s where this business started. I don’t want to bury my head in the sand and there’s no doubt that many of us, including me, are eating less meat. That has to be a good thing and I’m sure it will continue, however it needs be looked at in the context of the bigger picture. I see farming and food production as a dichotomy between the growing commodities for the production line model (Brian Aldridge) and the smaller, more personal, traditional food producing, normally mixed farms (everyone else in the Archers). To grossly oversimplify, at present the first is oil dependent while the second relies on animals. I have no doubt that over time, through composting etc, we’ll learn to farm and produce good food without animals. But right now that’s a long way off and a headlong rush to veganism can only be catered for by the commodity farming, production line model. For many people moving towards or eating a vegan diet, it’s not about fresh vegetables. It’s about over processed meat substitutes from the supermarket, and for many small producers like us, without massive R & D budgets, producing food like that is not easy. The last thing I want to do is alienate our customers (after all we do sell a lot of vegetables), so if you have a real abhorrence of animal farming, then veganism is the answer. But if, like me, you’re trying to do the right thing for our health, animal health and the planet in general, then don’t go too fast. Let the farmers and food processors catch up and learn to produce what you really want – not what multiples convince you you should have.